A simple but delightful sandwich bread, made with white flour, commercial yeast, and a bit of sour cream to provide a mildly tangy note, and a moist and tender crumb. If you are baking under challenging conditions (that is, in a small oven), watch out for quite an impressive oven spring: the bread might touch the heating element on top and… you don’t want that to happen. Protect it with aluminum foil if needed. The recipe comes from the one and only Dan Lepard, you can find it here. Sour cream is mixed with water, a little salt and sugar, and yeast. Bread flour is added to form a sticky dough. Dan uses minimal kneading, just 10 seconds every 10 minutes over half an hour, then the dough rises for 1 hour. After shaping as a loaf, place in a pan and allow it to rise for 60 to 90 minutes. The bread is baked in a 390F oven for about 45 minutes. Comments: This is a great recipe for those times in which you want a simple loaf for day-to-day sandwiches. A slice, slightly toasted, with cottage cheese, salt and pepper, is a perfect way to start the day, next to a steaming cup of green tea. Or, if you prefer to play on my husband’s team, make it a thin spread of blackberry preserves,. Either way, Dan Lepard came up with yet another winner! The crumb looks incredible, and you’re baking fabulous bread in a small oven! Every time I see a Dan Lepard bread, I just want to drop everything and get baking. Just happened again. Sally — I wanted to let you know the “Not Your Average Cajun Seasoning” sample today! I’m so excited to try it! I want to thank you for the generous sample and I’ll let you know how I like it once I try it. THANK YOU! I think you got the wrong Sally….. Interesting that this one had such a spring, since it already had two healthy rises – interesting. By the way, I will fix the broken link in the post, thanks for the heads up! You are an angel! Let you know how it turns out 🙂 ! So I made the bread 🙂 ! 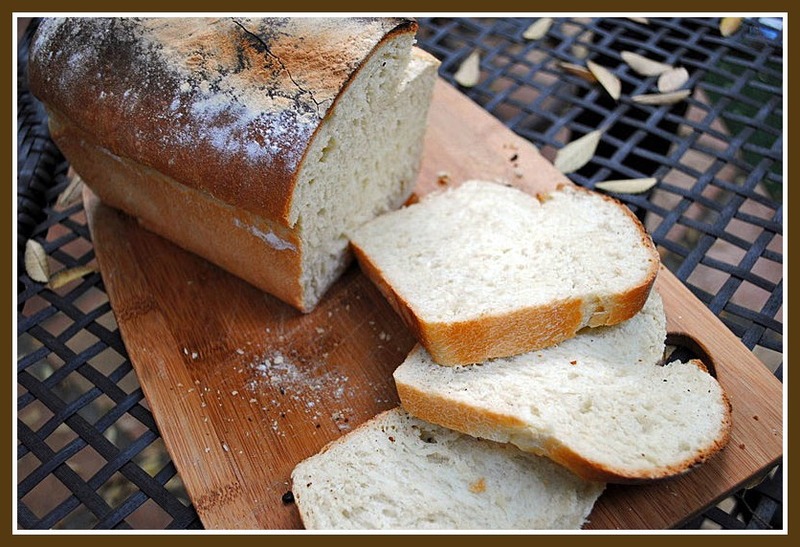 Like you stated, a great simple loaf. I needed to add more sour cream (about 200ml) and less flour (525gr). But even now I find it a tat to dry. I also expected some extra flavour from the sour cream after baking with Greek yoghurt what gives a beautiful dept to any loaf.